With at least 5 credits in SPM or O-Levels students can go for the Foundation in Arts at the best private universities in Malaysia. After that, they can enter into the 3-year Psychology degree programme. Pre-University students with the relevant results in STPM, A-Levels, SAM, CPU, AUSMAT, etc. can enter directly into Year 1 of the Psychology degree. However, note that in order to offer professional counseling you will need at least a Masters degree in Malaysia. Psychologists frequently are innovators, evolving new approaches from established knowledge to meet the changing needs of people, organizations and societies. They develop theories and test them through their research. As this research yields new information, these findings become part of the body of knowledge that practitioners call on in their work with clients and patients, as well as with organizations and communities. consultants to communities and organizations, diagnose and treat people, and teach future psychologists and those who will pursue other disciplines. Psychologists may gather information about their clients by administrating personality, performance, aptitude and intelligence tests, and through controlled laboratory experiments. Many psychologists work as health care providers. They assess behavioral and mental function and well-being, study how human beings relate to each other and also to machines, and work to improve these relationships. other scientists, physicians, lawyers, school personnel, computer experts, engineers, policymakers and managers — to contribute to every area of society. Thus, we find them in laboratories, hospitals, courtrooms, schools and universities, community health centers, prisons and corporate offices. Psychologists traditionally study both normal and abnormal functioning and treat individuals with mental and emotional problems. They also concentrate on behaviors that affect the mental and emotional health and mental functioning of healthy human beings. For example, psychologists work with patients to help them change behaviors that are having negative effects on their physical health. They work with business executives, performers and athletes to reduce stress and improve performance. interpreting data and their experience with statistics and experimental design. Opportunities for people with advanced degrees in psychology are expanding in number as well as in scope. The move toward preventing illness rather than merely diagnosing and treating it requires people to learn how to make healthy behavior a routine part of living. Indeed, many of the problems facing society today are problems of behavior — for example, chronic health conditions or disease, drug addiction, poor personal relationships, violence at home and in the street, and the harm we do to our environment. Psychologists contribute solutions to problems through careful collection of data, analysis of data and development of intervention strategies — in other words, by applying scientific principles, the hallmark of psychology. There are many specialisations available, of which the following are examples. disorders, such as assisting mentally or emotionally disturbed patients adjust to life, helping people to deal with personal crisis, or helping those with physical stress ( chronic pain, alcohol and drug addiction, multiple sclerosis. ). 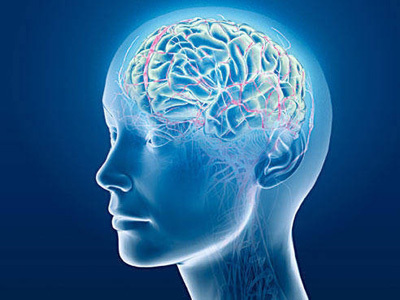 Clinical Psychology is focused on the assessment, diagnosis, and treatment of mental disorders. It is also considered the largest employment area within psychology. They work mostly in psychiatric clinics and hospitals, rehabilitation and community health centres, research centres, and private clinics. Clinical psychologists assess and treat mental, emotional and behavioral disorders. These range from short-term crises, such as difficulties resulting from adolescent conflicts, to more severe, chronic conditions, such as schizophrenia. Some clinical psychologists treat specific problems exclusively, such as phobias or clinical depression. Others focus on specific populations — for instance, youths; familes or couples; ethnic minority groups; gay, lesbian, bisexual and transgender individuals; or older people. They also consult with physicians on physical problems that have underlying psychological causes. solving, and language acquisition. Cognitive psychologists are interested in questions such as how the mind represents reality, how people learn and how people understand and produce language. Cognitive psychologists also study reasoning, judgment and decision making. Cognitive and perceptual psychologists frequently collaborate with behavioral neuroscientists to understand the biological bases of perception or cognition or with researchers in other areas of psychology to better understand the cognitive biases in the thinking of people with depression, for example. Community psychologists work to strengthen the abilities of communities, settings, organizations and broader social systems to meet people’s needs. They help people access resources and collaborate with others to improve their lives and communities. Instead of helping individuals cope with negative circumstances (e.g., trauma, poverty), community psychologists help empower people to change those circumstances, prevent problems and develop stronger communities. Examples of community psychology interventions include improving support for hurricane victims, partnering with neighborhoods to prevent crime, collaborating with schools to prevent bullying and helping change policies to improve health outcomes. Community psychologists blend research and practice, partnering with diverse citizens to plan and implement community changes, advance social justice and use research to inform and evaluate this work. Counseling psychologists help people recognize their strengths and resources to cope with everyday problems and serious adversity. They do counseling/psychotherapy, teaching and scientific research with individuals of all ages, families and organizations (e.g., schools, hospitals, businesses). Counseling psychologists help people understand and take action on career and work problems, they pay attention to how problems and people differ across the lifespan, and they have great respect for the influence of differences among people (such as race, gender, sexual orientation, religion, disability status) on psychological well-being. They believe that behavior is affected by many things, including qualities of the individual (e.g., psychological, physical or spiritual factors) and factors in the person’s environment (e.g., family, society and cultural groups). Development Psychologists study the development process that takes place throughout the lifespan. They will look at human growth and development. Theories often focus on the development of cognitive abilities, morality, social functioning, identity, and other life areas. Educational Psychologists work in schools, colleges or universites with students, teachers and parents to resolve students’ learning and behavioural problems. They are engaged in the delivery of comprehensive psychological services to children, adolescents and families in schools and other applied settings. They assess and counsel students, consult with parents and school staff, and conduct behavioral interventions when appropriate. Most schools employ school counselors full time. Counselors hired by private universities and colleges help students to adjust to university life, study problems, advise on proper study habits, personal problems and maybe take care of the clubs and students’ activities. behaviour, and the behavioural processes of animals such as rats, and monkeys, usually in university research or private research centres. Experimental psychologists are interested in a wide range of psychological phenomena, including cognitive processes, comparative psychology (cross-species comparisons), and learning and conditioning. They study both human and nonhuman animals with respect to their abilities to detect what is happening in a particular environment and to acquire and maintain responses to what is happening. Experimental psychologists work with the empirical method (collecting data) and the manipulation of variables within the laboratory as a way of understanding certain phenomena and advancing scientific knowledge. In addition to working in academic settings, experimental psychologists work in places as diverse as manufacturing settings, zoos and engineering firms. Forensic Psychology is an applied field focused on using psychological research and principles in the legal and criminal justice system. They can, for example, help a judge decide which parent should have custody of a child or evaluate a defendant’s mental competence to stand trial. Forensic psychologists also conduct research on jury behavior or eyewitness testimony. Some forensic psychologists are trained in both psychology and the law. Health psychologists specialize in how biological, psychological and social factors affect health and illness. They study how patients handle illness, why some people don’t follow medical advice and the most effective ways to control pain or change poor health habits. They also develop health care strategies that foster emotional and physical well-being. Health psychologists team up with other health care professionals in independent practice and in hospitals to provide patients with complete health care. They educate health care professionals about psychological problems that arise from the pain and stress of illness and about symptoms that may seem to be physical in origin but actually have psychological causes. They also investigate issues that affect a large segment of society and develop and implement programs to deal with these problems. Examples include teenage pregnancy, substance abuse, risky sexual behaviors, smoking, lack of exercise and poor diet. Industrial Psychologists apply their knowledge to improve productivity and the quality of work life. It is a field that uses psychological research to enhance work performance, select employee, improve product design, and enhance usability. Many serve as human resources specialists, helping organizations with staffing, training and employee development. 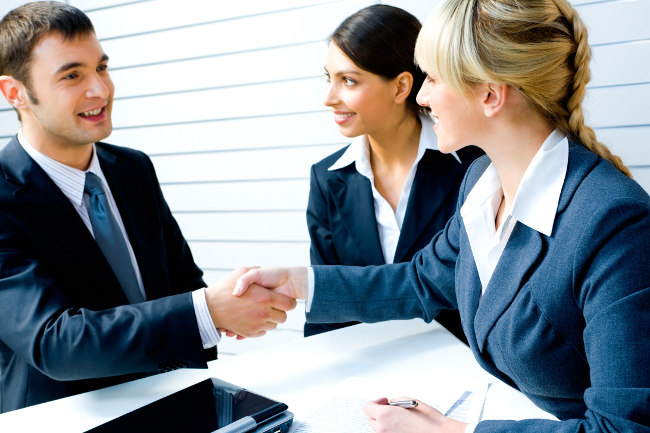 They may provide employers with testing and other valid selection procedures in their hiring and promotion processes. and improve performance. They help make changes in the way the organization is set up. Others help design the actual tasks, tools and environments people must deal with when doing their jobs. These specialists can also help design the products that organizations create and conduct research related to product design. For example, they play a big role in making computer hardware and software more user friendly. “Industrial-organizational psychologists can help employers understand their organizations better and sort out restructuring so as to help boost worker productivity and retention rates in a wide range of businesses. Industrial-organizational psychologists will help companies deal with issues such as workplace diversity and anti-discrimination policies. Companies also will use psychologists’ expertise in survey design, analysis, and research to develop tools for marketing evaluation and statistical analysis.” The need for psychologists’ abilities in applied research settings and activities such as survey and market research will be particularly acute in the next decade. Others work as management consultants in such areas as strategic planning, quality management and coping with organizational change. Rehabilitation psychologists work with stroke and accident victims, people with mental retardation and those with developmental disabilities caused by such conditions as cerebral palsy, epilepsy and autism. They help clients adapt to their situation and improve their lives, and they frequently work with other health care professionals. They deal with issues of personal adjustment, interpersonal relations, the work world and pain management. Rehabilitation psychologists are also involved in public health programs to prevent disabilities, including those caused by violence and substance abuse. And they testify in court as expert witnesses about the causes and effects of a disability and a person’s rehabilitation needs. Social psychologists study how a person’s mental life and behavior are shaped by interactions with other people. They are interested in all aspects of interpersonal relationships, including both individual and group influences, and seek ways to improve such interactions. For example, their research helps us understand how people form attitudes toward others and, when these are harmful — as in the case of prejudice — provides insight into ways to change them. Sports Psychologists provide psychological assistance to sports competitors to enhance their performance and enjoyment. Sport psychologists help athletes refine their focus on competition goals, become more motivated, and learn to deal with the anxiety and fear of failure that often accompany competition. Career opportunities occur in these and other specialties in community, government, schools and commercial organisations, and wherever counselling, psychological assessment and treatment are required. One can also find work in advertising, human resources or social work. Sorry , may u ask wat is credit transfer? Credit transfer is the transfer of credits of a subject from one university to another for acceptance into their degree.